JEL Technology is a Michigan Web Design and Information Technology consulting company based in Oxford, Michigan providing a full range of consultancy services with a focus on Small to Medium Businesses. Whether you need a new server, wish to establish an Internet presence, or simply need guidance with IT strategy we are here to serve your needs. No job is too big or small so give us a call to discuss your needs. Did you know your Small Business could have its own Web Site Design for well less than the cost of typical advertising in one of the many "Yellow Books"? Did you know most potential new customers find local business's these days using one of the major Internet Search Engines? We all realize Print Media is on the decline today with the increasing usage of the Internet. 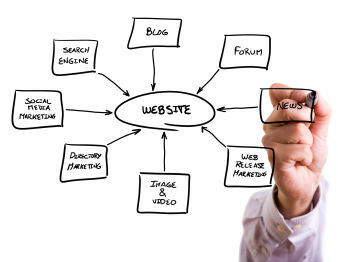 Don't miss out on potential revenue just because your Business does not own a simple web site and can't be found. Did you know you can begin selling your products and collecting credit card payments on your Web Site very quickly and at low cost? Why spend $1000's for an overpriced ecommerce solution when there are many solutions geared to Small Businesses? JEL Technology can provide you guidance in these matters and get you selling very quickly. Learn more about our web site design packages by clicking HERE. Clients with Open Invoices please pay below.